We recently returned from an amazing trip to Southern California. It was a much-needed break from the relentless winter of the Northeast, which still seems hesitant to welcome spring, despite it being nearly April. 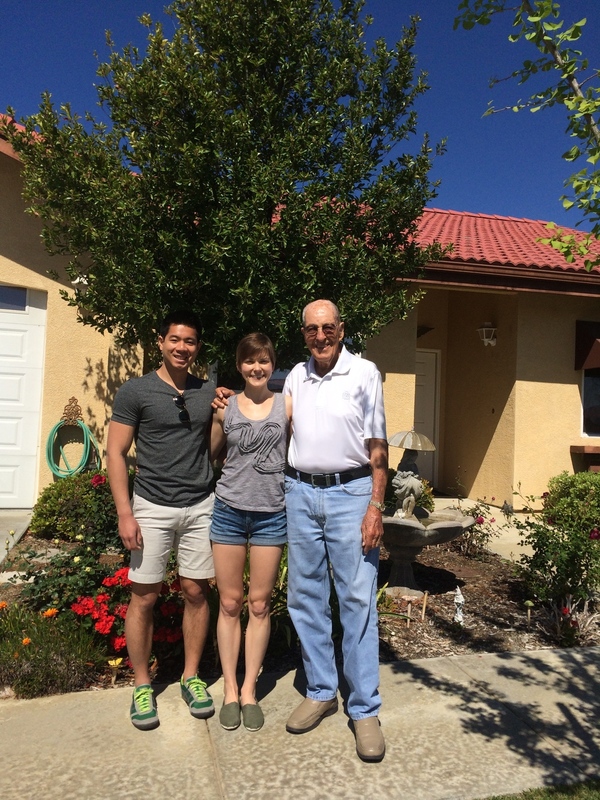 We stayed with my Grandpa in Riverside, CA and took day trips within and out of there. When I was younger, my family spent at least a week there every summer visiting my grandparents, but as we've gotten older, it has been more challenging to find the time to make it to the West Coast. It was important for me to spend time with my Grandpa and to finally show my boyfriend a bit about that side of my family and let him experience the places that I have always talked about. My Grandpa is ninety-two years old, and he is pretty awesome. Once a Colonel for the United States Air Force, he now volunteers for too many committees to count, can still recall the days he used to horseback ride to school, and can still shoot a respectable score while playing 18 holes of golf on a near ninety-five degree day. We were also able to spend some time with my Mom who met us there for the week, my super-sweet sports-fanatic Uncle Dave, and our friend who had recently accepted a new job in Newport Beach. The week seemed to fly by, but looking back, we were able to fit a lot in. I have included some highlights of our trip for any of you looking to explore southern California and need a little guidance. But first, a little general notes about how we tend to travel that we have found most helpful. Packing: Make a list and check it twice. It prevents you from forgetting things like hats, sunglasses, sunscreen, camera and phone chargers. Plane ride: I pack a shawl, an extra pair of warm socks, and a clear bag with hand sanitizer, oil absorbing sheets, essential oil, lip gloss, hand lotion, a rosewater face spray, a face mask, and a breath freshener of some sort. I also pack a hefty number of snacks such as nuts, chocolate, Clif Z bars, Larabars, fruit, and even an egg sandwich if the flight may be lengthy. 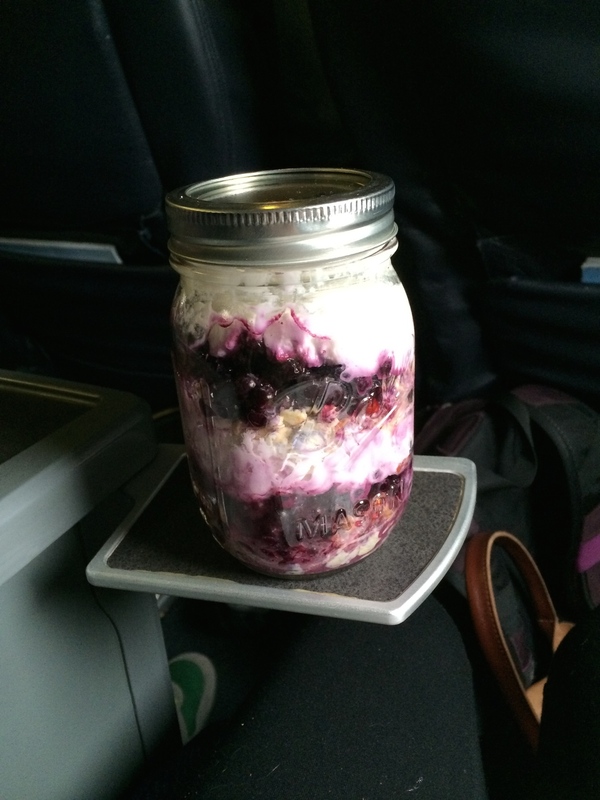 For this trip, because we had such an early morning flight, I also packed packed a homemade muesli, blueberry, almond, and yogurt parfait. I'll post a recipe for that soon. Things to do at our destination: Good places to check are New York Times 36 hours in..., the Wall Street Journal, and TripAdvisor. Chatting with friends who are from the area is an obvious one. Restaurants: We try to look up places before leaving because it gets overwhelming sorting through Yelp while actually on the road. We use Yelp, the New York Times 36 hours in..., the Wall Street Journal, Saveur, Bon Appetit, and I try to keep track of places that bloggers I follow recommend in cities that I plan on visiting in the future in Evernote. Speaking of Evernote, I pretty much use it for keeping up with any and all travel tidbits or destinations that I find inspiring. Meals: We enjoy trying foods of a new region and celebrating a city's restaurants, but it can be expensive to eat out every meal, so we try to eat breakfast in most days. I tend to pack a lot of snacks, energy bars, Clif Z bars, oatmeal, nut butter, and nuts to stay fueled. We try to stop at the grocery store and get yogurt and fresh fruit to have on hand as well. Second row, left to right: At California Citrus State Historic Park. 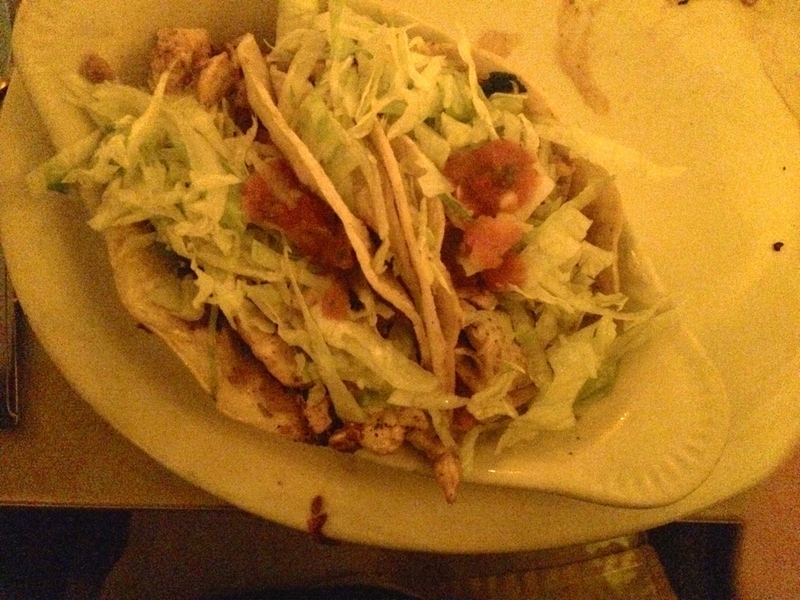 Chicken Tacos at Maria's Mexican Kitchen. Fish Tacos at El Pescador Fish Market in San Diego. Octopus Sandwich at El Pescador Fish Market in San Diego. 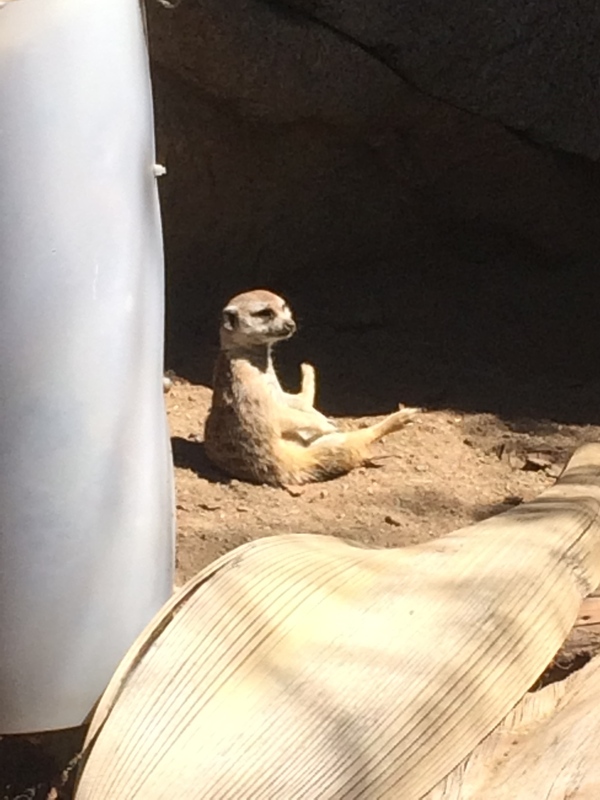 Third row, left to right: Meerkat chillin' at the San Diego Zoo. Panda at the San Diego Zoo. At Baco Mercat in Los Angeles. Handstand at Laguna Beach. Fourth row, left to right: Salmon with dry miso at Nobu Los Angeles. Beautiful Laguna Beach. Chicken Mole at Zacateca's in Riverside. My Mom and I drinking green juice at True Foods Kitchen in Newport Beach. Fifth row, left to right: Tofu and Cashew Lettuce Wraps at True Foods Kitchen in Newport Beach. Walnut Moon Milk at Moon Juice in Los Angeles. Mission Inn in Riverside. Sitting in President Taft's chair at the Mission Inn. California Citrus State Historic Park: We toured a little museum, learned about Riverside's role in making the navel orange so popular here in the U.S., and the best part? We tasted lots of different citrus fruits including the Bergamot sour orange (think Earl Grey tea), the Mary Ellen Sweet Lime, the Golden Nugget orange, and lots more. 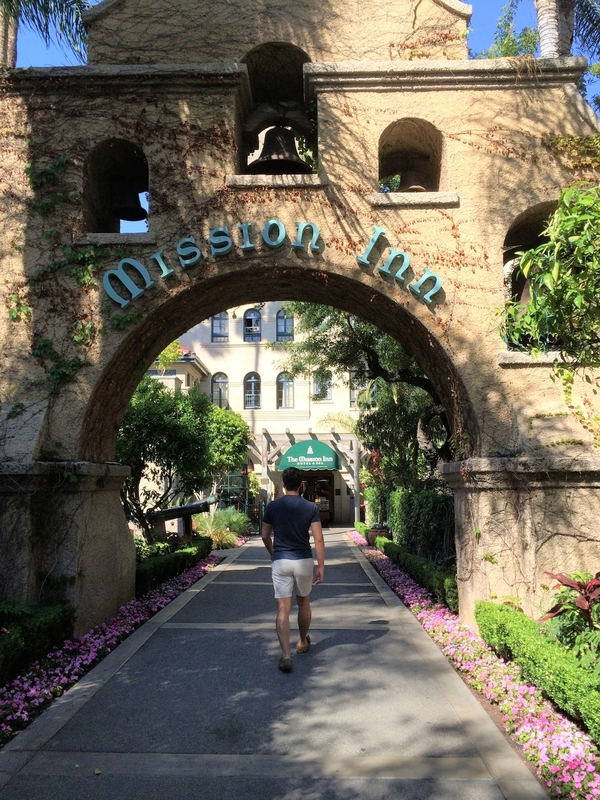 Mission Inn: This is a beautiful hotel done in the classic Mission architecture style and has been visited by numerous United States Presidents. I wish we could have gotten a formal tour, but we arrived too late. You can sit in President Taft's enormous custom-made chair to see exactly how big he really was. Riverside National Cemetery: It may sound weird to visit a cemetery, but they have a beautiful memorial devoted to Medal of Honor winners and a powerful POW memorial. As a I mentioned, my grandfather served in the Air Force for many years, and so my Grandma is also buried here. Zacateca's Cafe: This is real deal Mexican food. The chicken mole and tamales in Chile Colorado are phenomenal. This is what I have come to compare all Mexican food to. Just don't judge them on their corn tortillas. Maria's Mexican Kitchen: This is more Tex-Mex than Zacateca's, but it's delicious and my family has been going here for many years. River Kwae Thai: Solid Thai food, and a must-visit of my family's when we're in town. Their Tom Yum soups are worth the order and will make your nose run. Other favorites are the Beef and Broccoli in Oyster Sauce, Chicken with Basil and Chile, Pad Thai, and the Chicken Larb. Fashion Island: High-end shopping perfect for people watching and window shopping. Corona Del Mar State Beach: Beautiful and clean little stretch of beach where parking is not too difficult and where it's not too crowded. 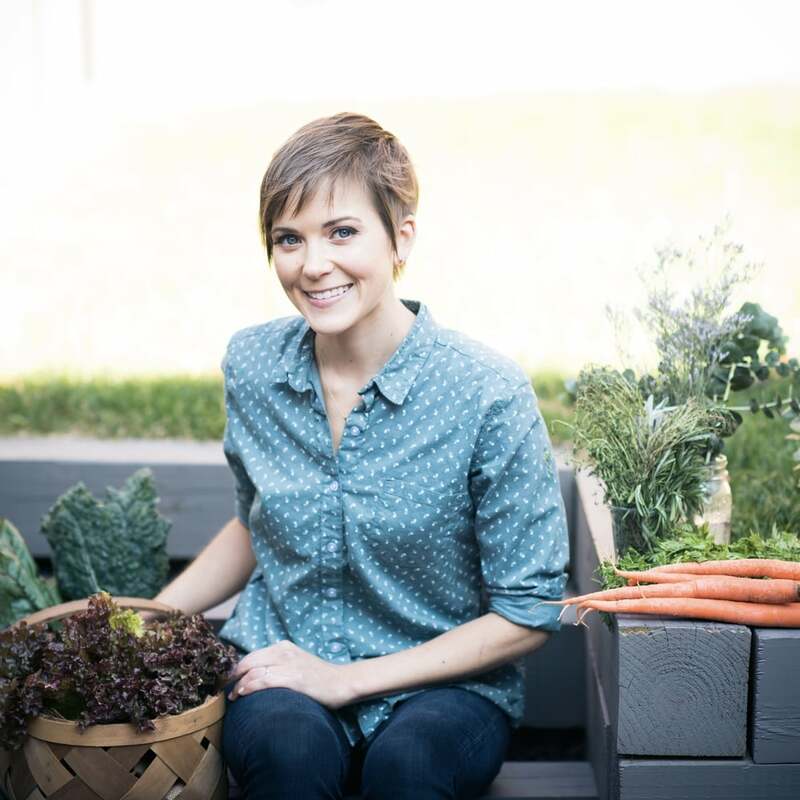 True Food Kitchen: This is a growing chain that supports seasonal cooking and the use of local ingredients. Supposedly each restaurant's menu may be different depending on what fruits and vegetables can be sourced locally. They also have a variety of fresh-pressed juices and tonics. Our favorites were the Lettuce Wraps, Edamame Dumplings, Fish Tacos, Green Papaya Salad with Salmon, Scallop and Coconut Curry, and the Banana Coconut Chia Pudding. I need to figure out how to recreate the lettuce wraps and dumplings at home soon! Gulf Stream: Seafood and Steakhouse that is on the pricier side, but all of our fish dishes were perfectly cooked and the mashed potatoes and sesame kale salad that came along with were delicious too. Main Beach Park: Easy access beach that's clean and has bathrooms right near by. Deck on Laguna Beach: Perfect place for a happy hour drink and snack and beautiful view of the Pacific. 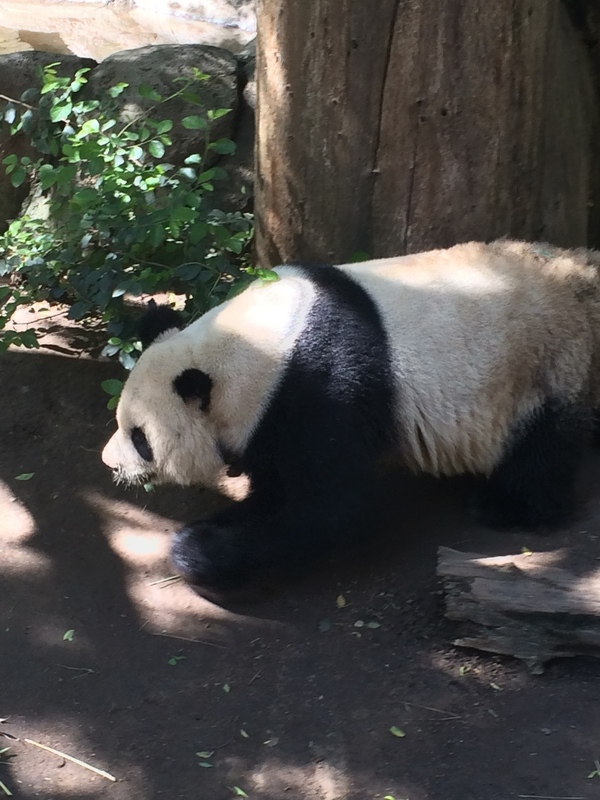 San Diego Zoo: This is a must-see if in southern California. We were only able to spend 3 hours there, but we could have easily spent another 3 hours. The animals seem really happy and well-taken care of, and the park is kid and adult friendly. The line for the pandas said it was going to take 45 minutes, but we waited only about 20 minutes. Be sure to make your way past the koalas snuggled up against the eucalyptus, the meerkats, and some of the mountain cats. El Pescador Fish Market and Restaurant (La Jolla, CA): This is about 30 minutes northwest of the San Diego Zoo, but soooo worth it. Unbelievably fresh fish. Where else can you get a grilled octopus sandwich with oregano and olive oil? And their fish tacos come with glorious amounts of dreamy, creamy avocado. The Last Bookstore: We love to visit used bookstores, and this has got to be one of the best. We spent a better part of an hour here reading on their couches before we realized that we were wasting precious warm, sunny weather time. They carry some hard-to-find magazines and some newer trendier books too. Detox Market: This place carries all sorts of organic makeup and skincare lines. In the past few years, I've switched to mostly organic and environmentally friendly makeup, but I usually order online and hope for the best. This place stocked some of my favorites such as Ilia, RMS beauty, Vapour Organic, Kjaer Weis, and the owner was super-friendly and helpful. Grand Central Market: This place is bustling. It's a market with all sorts of neat vendors from Eggslut, DTLA Cheese, Press Brothers Juicery, Sarita's Pupsueria, and many Mexican stalls and grocers. Their website is pretty slick looking, so check them out to see what stalls you want to head to. Baco Mercat: I had read about this place in many food magazines and newspapers as being a cool place to eat with some international and inventive dishes. Being in the financial district, we were surrounded by some pretty important people, but the waitstaff was really friendly and chill. It took us a while to order because everything looked so good. We ordered their fried ricotta and honey balls to share. Yum. They are known for their unique baco sandwiches which are pillowy piockets that hold tasty mixes of ingredients. Their slow roasted trout with quinoa and yogurt was fantastic. And to finish? A decadent hazelnut chocolate mousse for me, and a fernet flight for him. Moon Juice: I had read about this place on the blogosphere as being famous for their Moon Milks, which are nut milks made from organic, raw and unpasteurized nuts, natural sweeteners, superfoods, and often coconut. They also have some pricey tonics and powders and potions that you can purchase. After much debate on what I was going to spend $12 on, I decided to go with the Walnut Mucuna Merry Milk which supports brain health and boosts serotonin and dopamine. I had a sample of the Deep Chocolate and wished I could have tried the turmeric flavored Golden Milk because it seemed pretty unique. The milk was pretty rich and filling for an afternoon snack and served as some inspiration for future things to whip up in my own kitchen. Nobu Sushi: This was a bit of a splurge for us this trip. I can be really picky about sushi after having some bad experiences with old fish, but I thought that if we were going to get good quality fish, it would be at Nobu. The menu was a bit overwhelming, so we picked a few items that we definitely wanted, told our waiter what things we did not like (i.e. mackerel for me), told our waiter an amount we were willing to spend per person, and let them figure out the rest. The great thing about this is that you can get a few secret dishes that are not on the menu. Everything truly was melt-in-your-mouth. The dry miso preparation with salmon, the dry miso and truffle with albacore, the Wagyu beef and tuna mini tacos, baby artichoke salad, tiradito, Black Cod, and the list goes on...even their basic rolls left us speechless and swooning. We saw this sign while walking around Los Angeles, and I snapped a photo because it reminded me of being present for those around me. It is not new news that there is a difference between being physically present and mentally and emotionally present, but we all could use a reminder. A reminder to connect. A reminder to engage. A reminder to nourish the relationships with those closest to you. On this vacation, I chose to spend less time on my phone and on email and tried to take advantage of the time with my family, my friend, and my boyfriend. You begin to notice a little more about each other, begin to discover new details in your surroundings, and walk away with a fullness that does not always come from the digital interactions. We certainly can learn a lot from online engagements, and the internet has enabled us to meet people that we normally would not have the opportunity to cross paths with, but I believe it's best to strive for a balance between those two worlds. And when in doubt, it is always best to put down the phone, close the computer, and be all there.